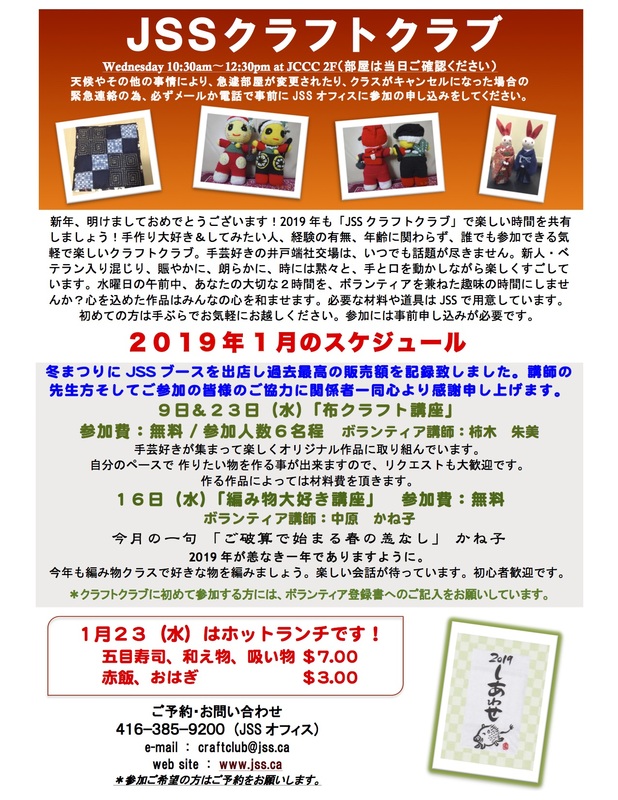 The following is the JSS Craft Club schedule in January (flyer in Japanese only). Day: January 9, 16, 23: Wednesdays. Time: 10:30 a.m. ~ 12:30 p.m.